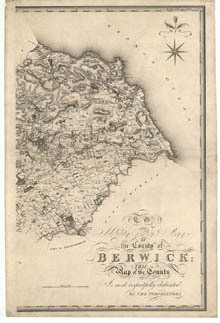 Title: The County of Berwick. Imprint: London : T. Sharp, C. Greenwood & W. Fowler, 1826. 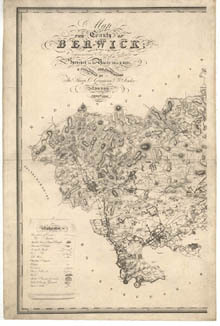 Pagination: 1 map on 2 sheets ; 832 x 1035 mm., sheets 866 x 583 mm.